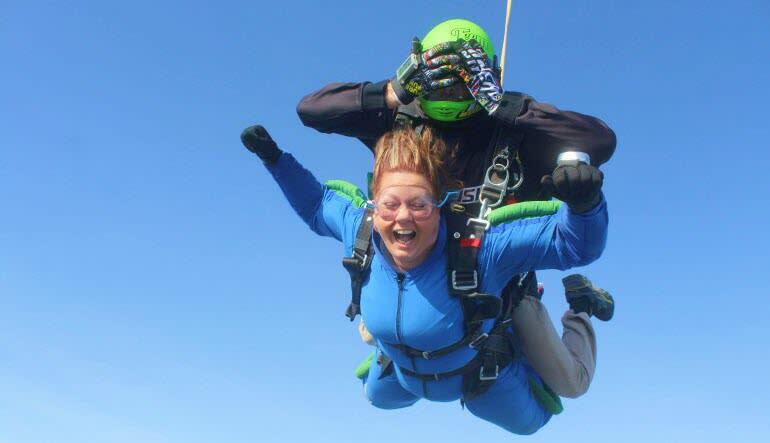 Travel 14,000 feet above the Dallas area for a jump that gives you 60 seconds of freefall at speeds of up to 120mph! 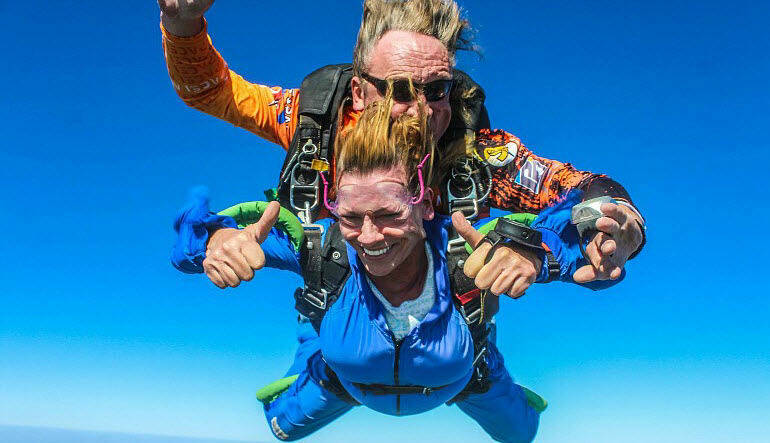 If you’re not too in awe of the most exhilarating sensation you’ve ever felt, this Dallas tandem skydive gives you the unique opportunity to pull your own ripcord! Think about that: 120mph aided by nothing but the sheer force of gravity. The sensation is unmatched. 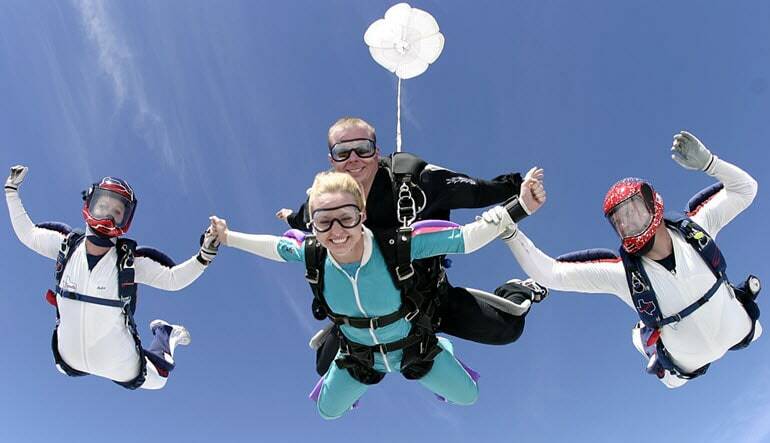 Get geared up and set off 14,000 feet sky high! And while the first minute may feel like an eternity, the following five after chute deployment offers a well-earned breather. THANK YOU FOR MAKING THIS EASY FOR US! What a rush, this is what it feels like to live in the moment! I absolutely recommended this. So easy to work with and recieved great service! Max weight 280 lbs. There are additional fees for people over 240lbs ($20: 240-259lbs, $40: 260-280lbs). 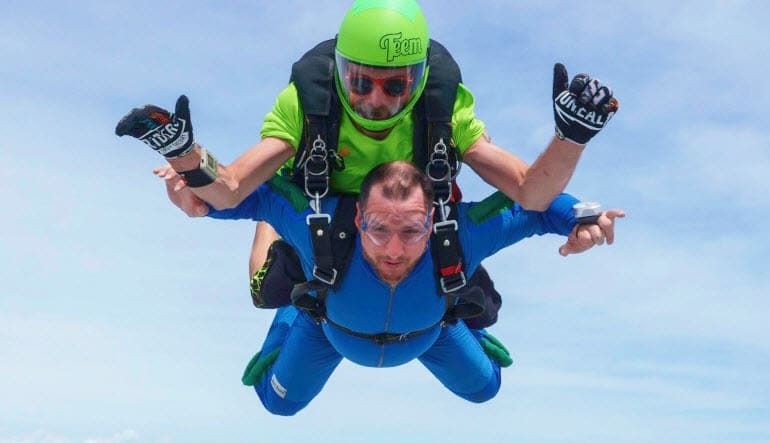 Tandem skydivers over 240lbs will be evaluated on a case-by-case basis. 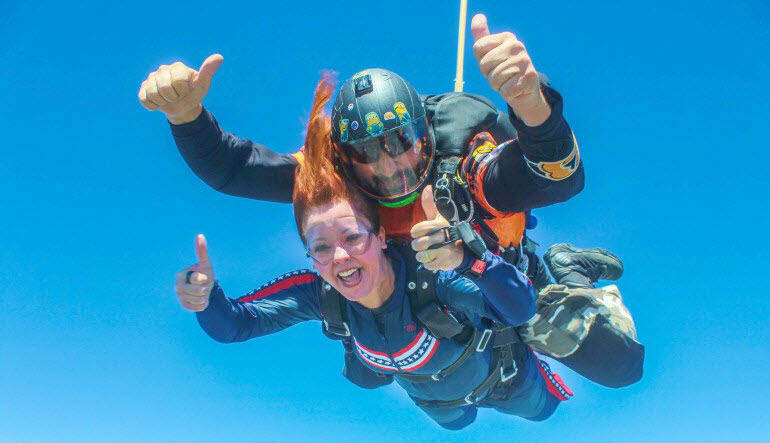 This Jump zone is affiliated with the United States Parachute Association (USPA) and is governed by the Federal Aviation Administration (FAA). 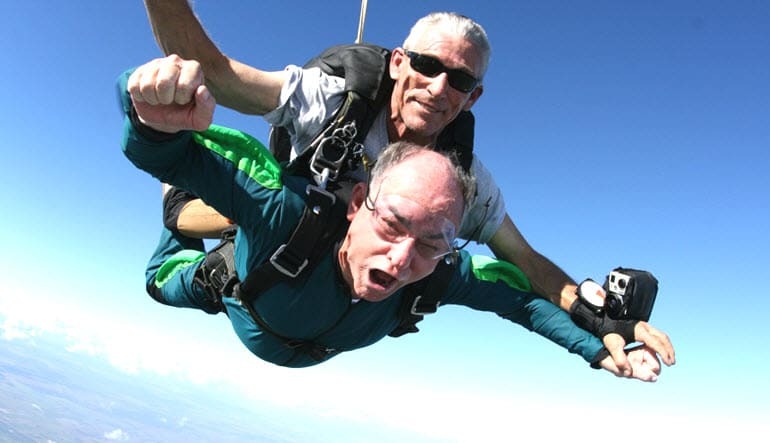 The instructors are fully licensed and have each logged thousands of jumps, some have more than 15,000+ jumps!